There's a special place just waiting for you to visit - Where cows, pigs and horses are your best friends - Where songs and stories are full of wonder - Where every day is an adventure - Where fun and learning never end. Where? 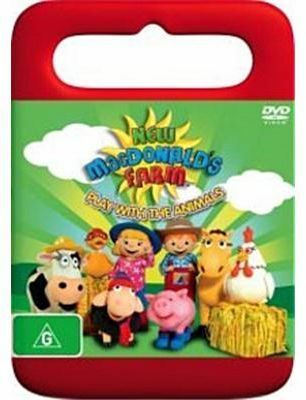 It's New MacDonald's Farm. Join farmers, Max and Milly and their wonderful family of animal friends as they spend their days ploughing and planting, singing and dancing, discovering and playing. It's a farm-stay like no other! Work and play are one in the same at New MacDonald's Farm so grab your overalls and your gumboots too and join all the gang for some down-to-earth fun and adventure.